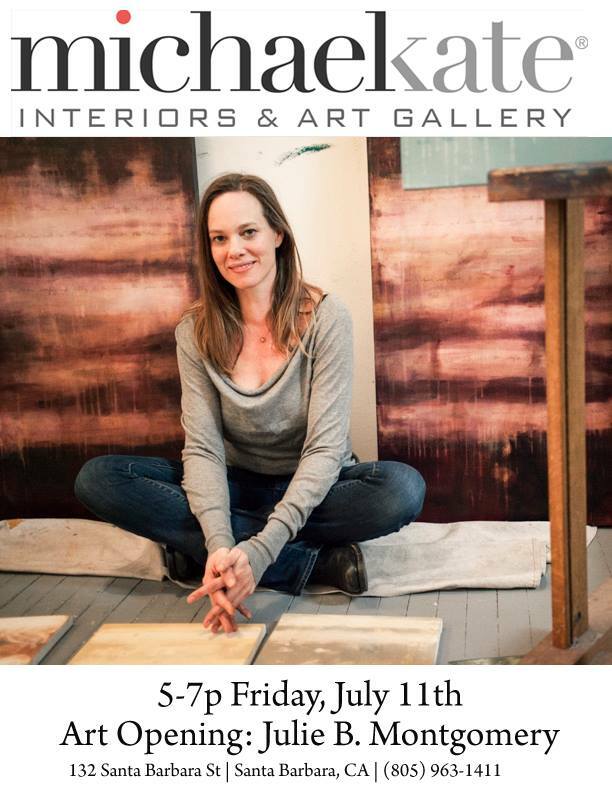 Stop in at MichaelKate Interiors & Art Gallery tonight. Join them for a reception for artist Julie B. Montgomery. Panel discussion with Charles Donelan at 6pm. If you can’t make it tonight, stop in Saturday for an afternoon of art during the Funk Zone Art Walk. Julie B. Montgomery has had her paintings featured on Mad Men, Glee and Scandal, and throughout the U.S. and Europe—come see her work and meet the artist at MichaelKate Interiors & Art Gallery in Santa Barbara’s Funk Zone.